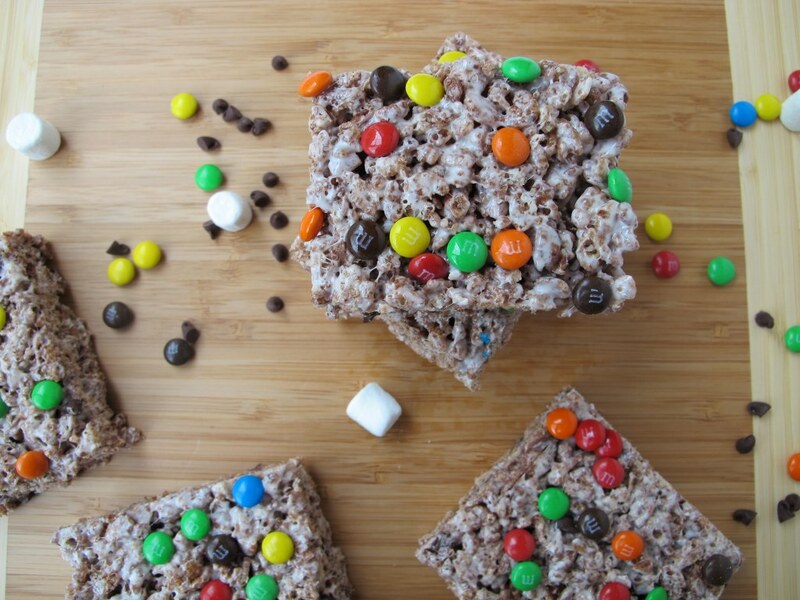 These snap, crackle, and pop treats are packed with sweet chocolate in every bite because of the three kinds of chocolate in it, the Cocoa Rice Krispies, mini chocolate chips, and mini M&Ms. Line a 9 x 13 baking pan with tin foil and spray it with cooking spray. Set it aside. 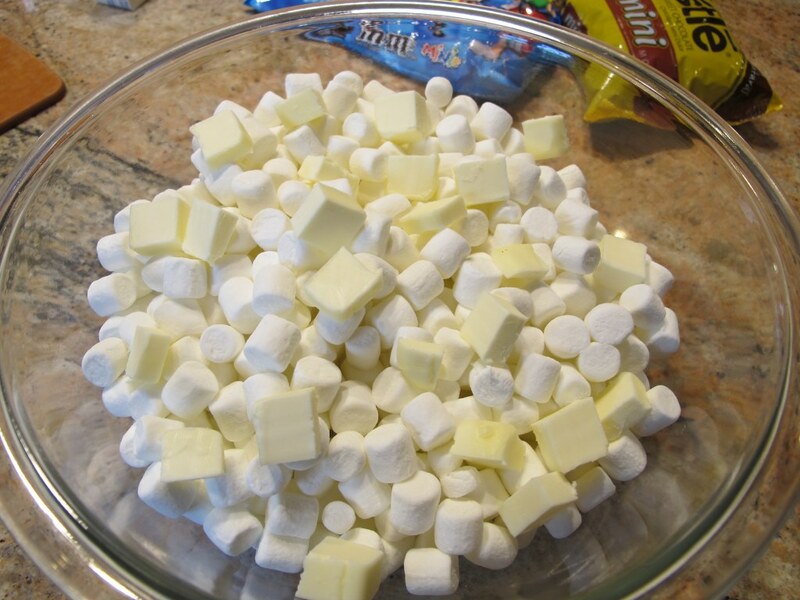 In a large bowl, place the butter and marshmallows and microwave for about 1 minute, stirring every 30 seconds, until they are melted. Note: At this point work quickly because the melted marshmallow and butter mixture cools fast. The softer the mixture, the easier each step is. 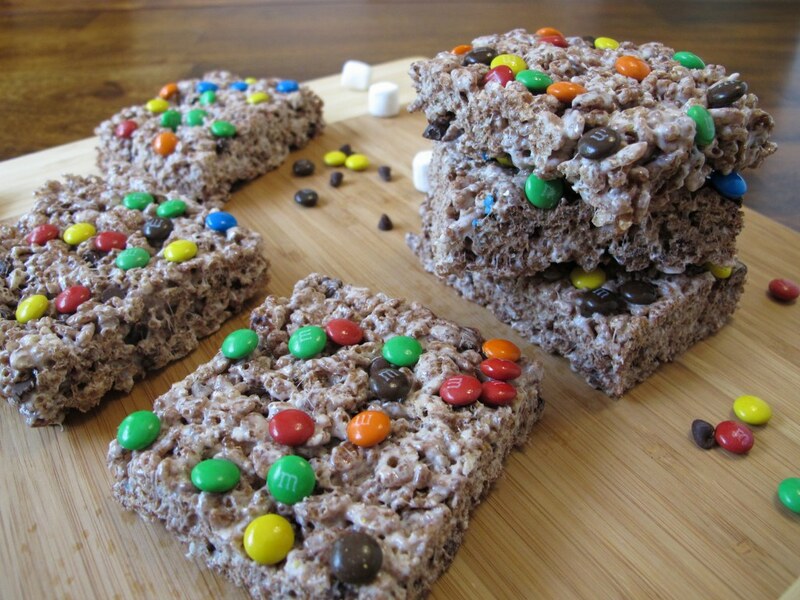 Add in the Cocoa Krispies cereal into the marshmallow mixture and stir until combined. Scoop the mixture into the greased baking pan. 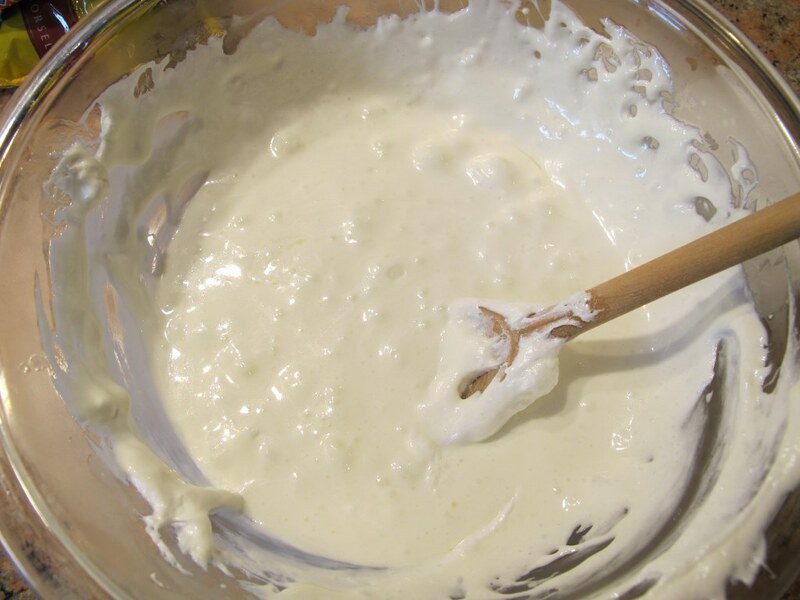 Spray your hands with cooking spray and press the mixture evenly in the pan with the back of a measuring cup (which you should also cover with cooking spray). Sprinkle the mini M&Ms over the mixture and press them gently. Let the treats cool before cutting into it (about two hours, depending on how warm your room is). I don’t think I need to explain how to make these classic treats, do I? 😉 Everyone I know has made them at some point. As a tip, I did cut the butter into cubes in order for them to melt easier. 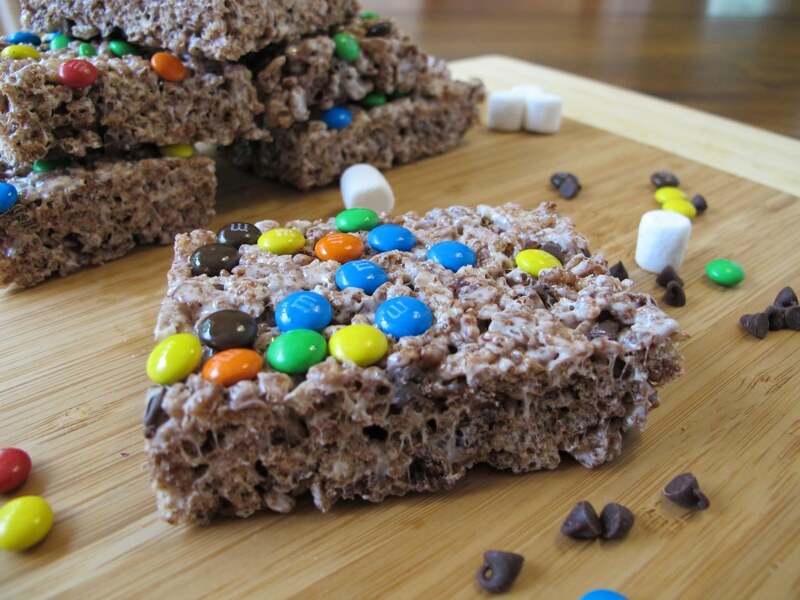 I haven’t made Rice Krispies treats since I was about ten years old so making these made me feel like a kid again. I’ve forgotten how messy and sticky these are! Seriously, more sticky than you could possibly imagine. Never fear, have some cooking spray near and it won’t be quite as bad. Mmm, I’m lovin’ all this chocolaty goodness. Aren’t those mini M&Ms so cute?! These are ideal to make on those really hot days when you want to make something sweet but don’t want to turn the oven on. 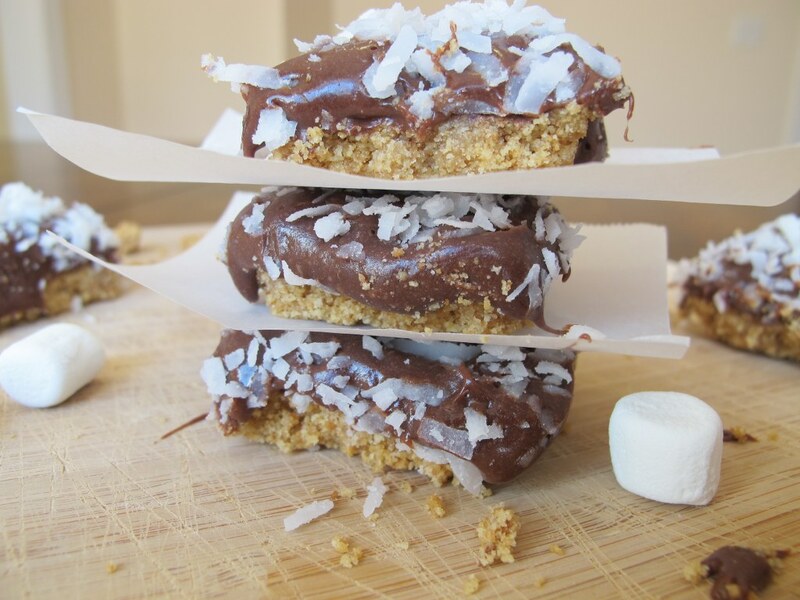 Here are some of my other favorite bar cookies. Looks like I figured out a cooking project to do with my little Easton…he loves to cook and he absolutely loves fun treats like this! Just have to go get m&m’s…Thanks for sharing Tina! Have a happy Friday! 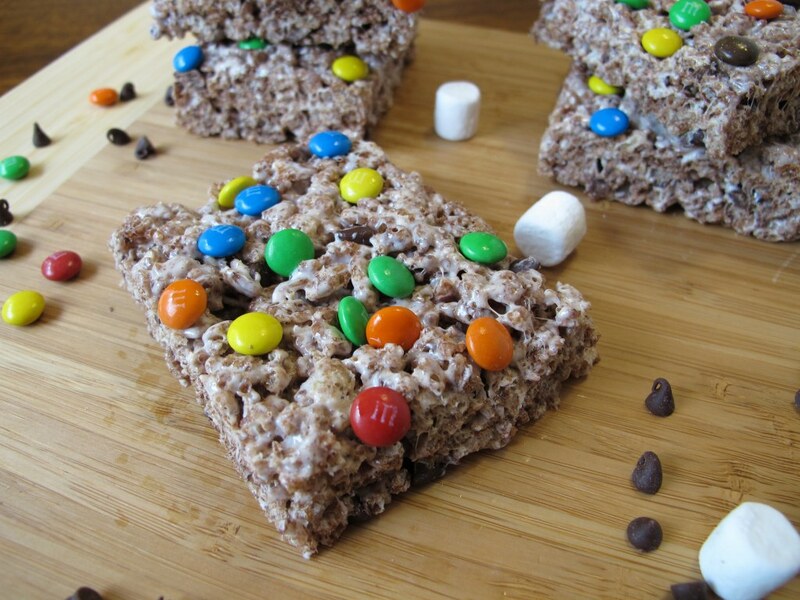 I have had rice krispies on my brain as of lately, so I think I have to go ahead and make them already! 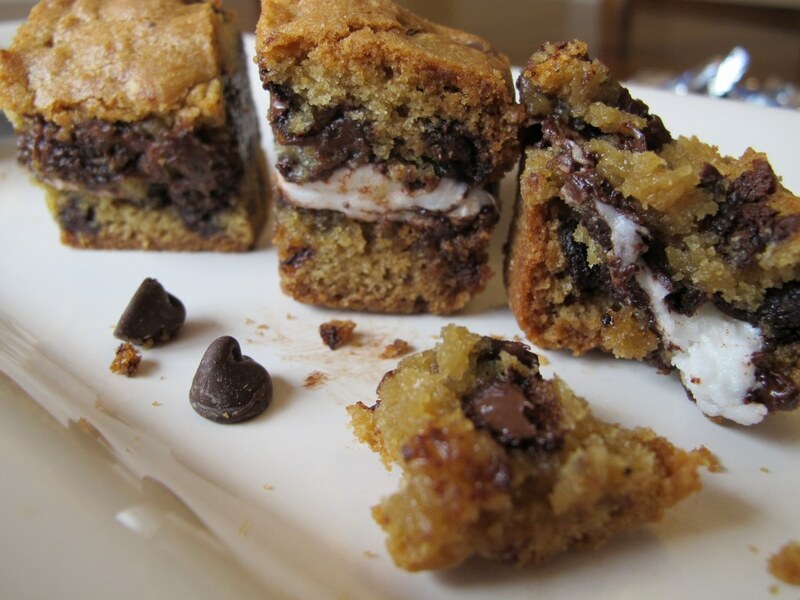 Love your recipe – thanks for sharing! Glad you liked the tip. 🙂 Looking forward to seeing your rice krispie treat recipe!